It really is. The more you know, the more informed you feel when you need to make an important decision in all areas of your life. Having the facts in front of you and being able to interpret them properly helps enormously when you are trying to decide what is right for you and your family. This especially applies when I’m trying to figure out what food to buy to feed my family. I only want the best for them, but in today’s world with so many choices in front of us, it isn’t the easiest task. You may be thinking, “Where do I even start?”. For me, it’s a fine balance between choosing healthy food and food that my picky kids will actually eat. The good news is that it isn’t as hard as you think thanks to a partnership between the Food & Consumer Products of Canada (FCPC), Health Canada, Retail Council of Canada (RCC) and the Canadian Federation of Independent Grocers (CFIG). 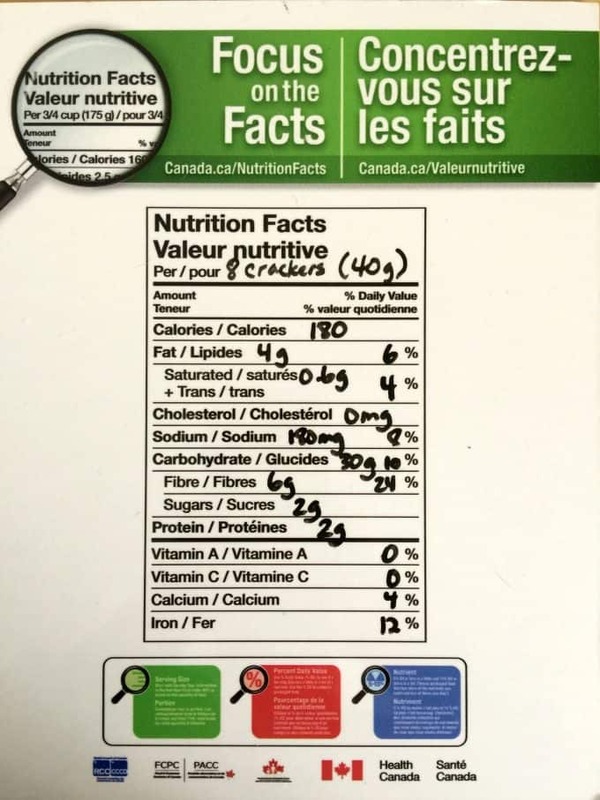 They have launched the Nutrition Facts Education Campaign (NFEC) to help increase Canadians’ awareness, use and understanding of the Nutrition Facts table (NFt) to help you make better informed decisions about the food you buy for your families. If you look at the food in your pantry right now, you’ll find the NFt on the packaging. It’s found on most packaged food in Canada. At first, it may look daunting and hard to understand. Don’t worry, it’s not after you learn the basics of what each item like Serving Size and Percent Daily Value (% DV) mean. Once you see how easy it is to read, you’ll be able to use it on a daily basis in your decision-making. Focus on the facts and feel good about the choices you make! I recently became a nutrition fact finder and so can you! Today, I’m sharing everything you need to know in easy to follow terms so you can get started today on making informed food choices. Step One: Start with serving size. Everything on the NFt is based on this quantity of food. If you consume a different amount than what’s featured, you’ll need to adjust the numbers to reflect the change. Tip: When comparing two packages of food, check to see that the serving sizes are similar and adjust accordingly. Step Two: Look at Percent Daily Value (% DV). This number will tell you if the food has a little or a lot of a specific nutrient and is great to use when comparing packaged food. Step Three: Decide if the food has the nutrients you want. The % DV will give you this info. 5% DV or less is a little and 15% DV or more is a lot. 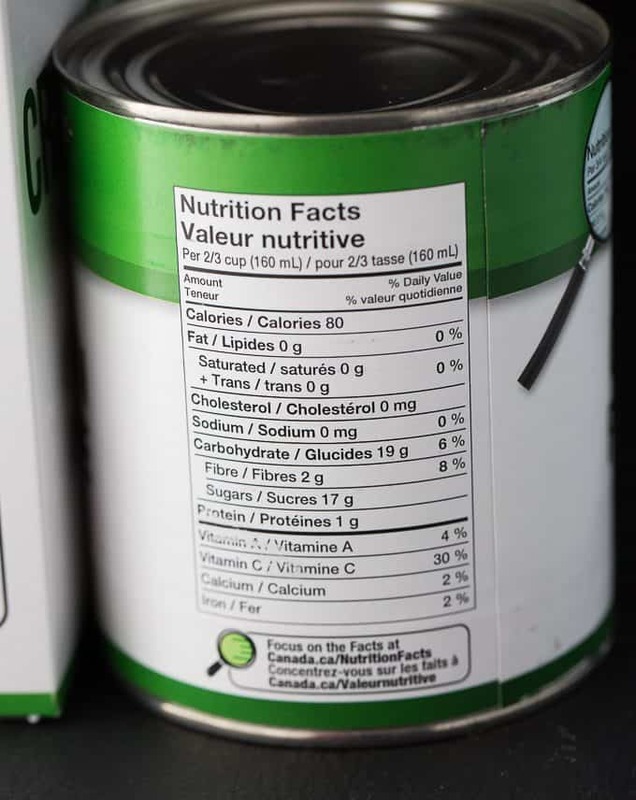 Look for packaged food that have the nutrients you want like fibre or calcium and less of the nutrients you don’t want like sugar, sodium and trans fats. Here we have two different brands of veggie burgers. Both are the same serving size, but have very different % DV. 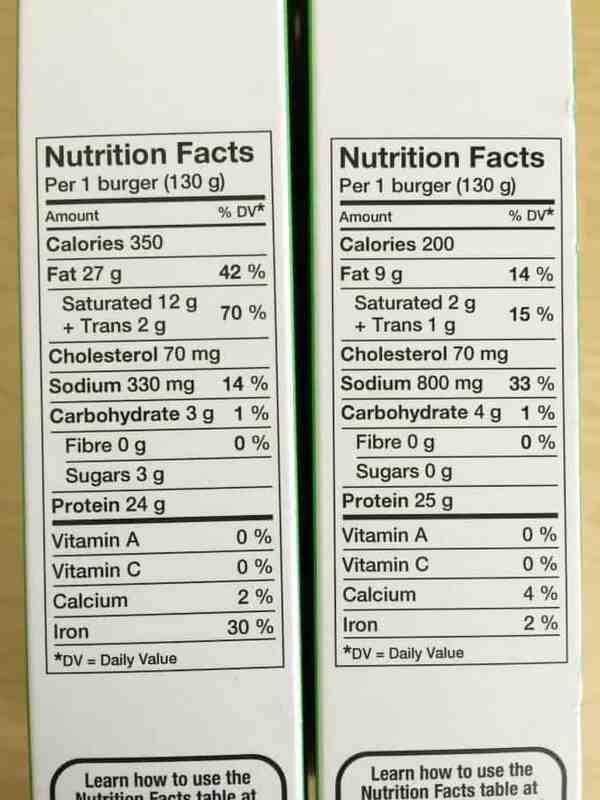 The one on the left has more saturated fat, but less sodium than the one on the right. Iron is higher in the one on the left. You can compare the two and make a choice based on what nutrients you are wanting to increase (or decrease) in your diet. Now that you know how to read the NFt, you can show your kids how to read them too. I started with my daughters to share what I learned and we practiced by looking at the labels on the food in our pantry. 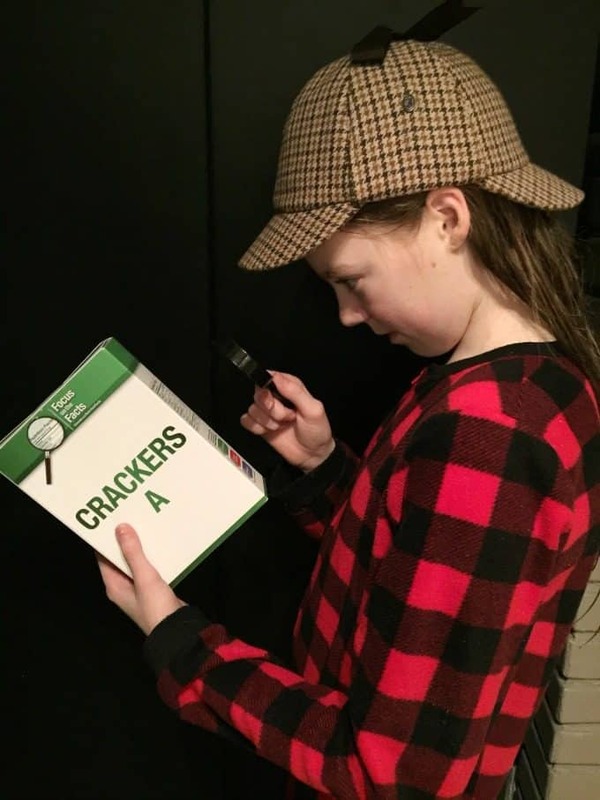 My kids are now Nutrition Fact Finder Detectives and can help me choose what to buy while I’m grocery shopping. 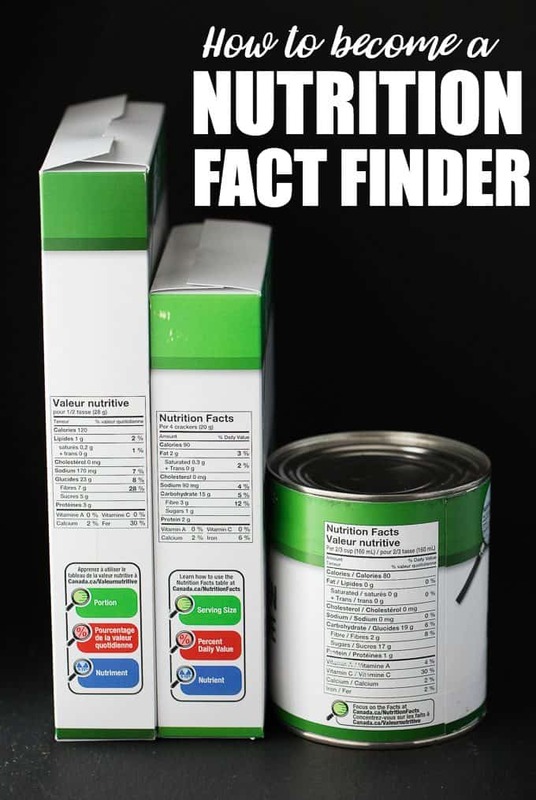 Becoming a Nutrition Fact Finder will help you make informed decisions about the food you feed your family. You’ll be able to easily compare similar products and easily decide which one to buy based on the % DV of the nutrients important to you. I encourage you to learn more about how to read the Nutrition Facts table and why it matters. Also, make sure to share with your kids too so they can also become Nutrition Fact Finders. Start with items in your pantry and make it into a game to make learning fun! Focus on the Facts is having a fun contest for a $300 grocery gift card from RCC and FCPC. Visit their site to take their quiz to test your knowledge about the Nutrition Facts Table. 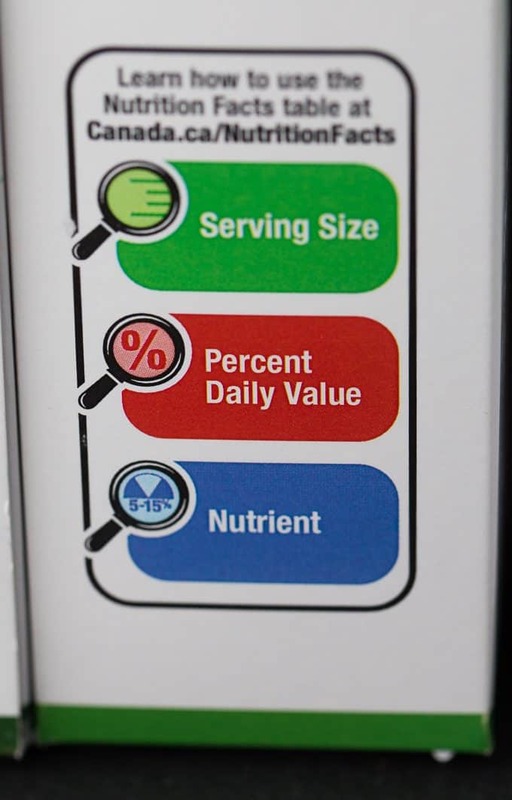 Why is understanding the Nutrition Facts Table important to you? Nutritional facts are vital to icing a healthy life as nothing is more important than what we put in our bodies and information on packaging must be accurate so we, the consumers are able to make choices based on truth and facts. The Nutrition Facts Table is a good start to help me understand what the food value is of a particular food. It can help me compare various food choices in the store to decide which item to buy. It is important to me to regulate my familys nutrition. Nutrition facts are important in understanding what I’m feeding my family. I like knowing how much sugar is in my food. Nutrition facts help me decide what I am feeding my family. I like to see how much fibre. I find it really important to know the serving size that the product’s claims are based on ie. 100% of daily vitamin whatever, is that for one serving or the entire package? Knowing how much sodium, sugar and the type of fat and quantity is important to lead a healthy lifestyle. I rely on this labelling when planning our meals so it is very important to me. The nutritional facts tell you what the food contains the kinds of fats and how many calories per serving. It’s important to eating healthy. I like being able to know what is in the food I am eating, helping me control things like sugar content and look for good things like fiber content. Most importantly I am trying to teach my kids about healthy eating using this info! I like to see much sugar & fats. Because I have circulation & retain water I always check #sodium content for daily intake ! Helpful info. I was just diagnosed with prediabetes and I have never really cared so much about all the items listed.